A drill-headed cop killer is gathering a cult following in the small Australian town of Bontown, in Ben Mitchell’s neo-noir Storm Clouds. Bold and irreverent, Mitchell’s work feels a middle finger to conventional comic storytelling. His compositions and layouts are often extremely inspired, his use of risographs giving the series an aesthetic and storytelling sensibility that’s entity its own. A sense of playfulness shimmers throughout. The sinister, surreal beach locale hides nightmarish grotesques that almost feel like they’ve invaded from another comic, while the second volume released with an album from the protagonist’s metafictional band. 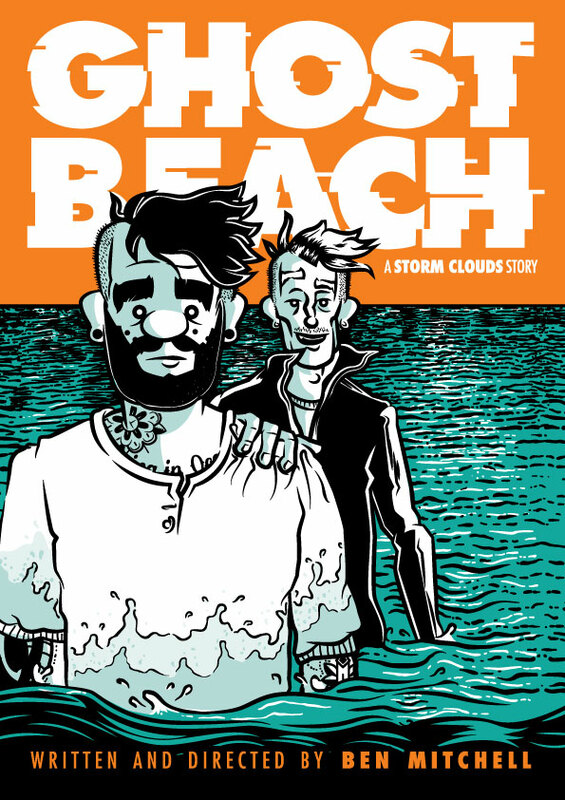 You never know quite where Mitchell will take his characters and premise, with third volume Ghost Beach proving an even more accomplished and measured effort than the first two. 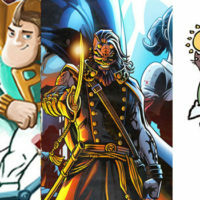 Find out more about the series and Ben’s work at www.thestormclouds.com. I’m rather fond of Ken Reynolds’ experimental anthology Sliced, and recently backed the kickstarter campaign for his supernatural series Cognition. 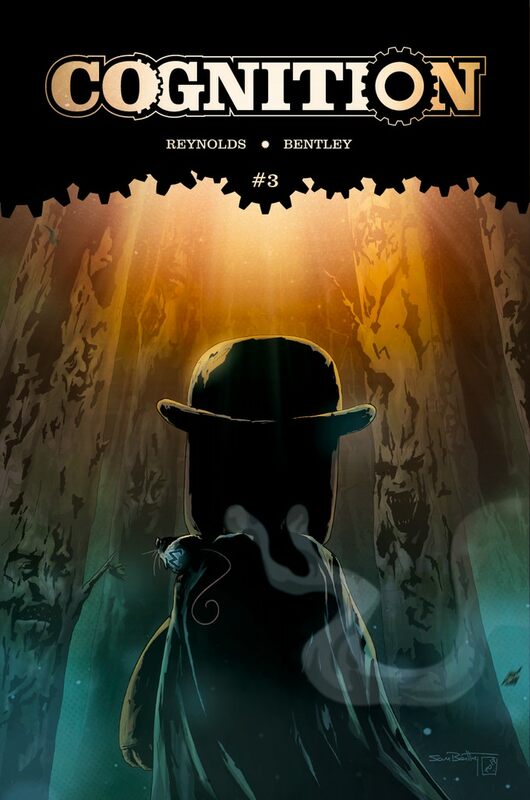 Now on its fourth issue, Cognition follows Cal and Sigma, a steam-powered robot and a mouse possessed by a powerful demon, as they investigate supernatural mysteries in Victorian London. 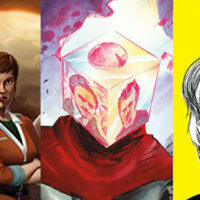 The series is actually a more solemn affair than you’d expect given that premise, with Sam Bentley’s overcast art dripping with atmosphere and an underlying sense that Cognition’s established reality could be unravelled with the gentlest of tugs. Cognition reminds me of Mignola’s early Hellboy work; both plot and art are a little muddled in the earliest issues, but Reynolds and Bentley are developing a truly fascinating world that I believe will be around for the foreseeable future. However, as a rodent obsessive I have a small, arguably pedantic issue with this book: some of the guest artists should consult reference material before drawing Sigma. A hamster isn’t quite the same thing as a mouse. 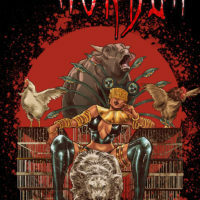 Follow the series on Twitter at @CognitionComic. 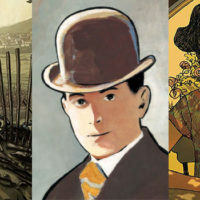 Iqbal Ali’s collection of short stories, illustrated by a diverse range of talents, covers all manner of styles and genres. What ties Mild Frenzy together, however, is a sense of pitch black humour and Ibqbal’s knack for vignettes that touch upon an idea without feeling the need to overly explore it. Many of the tales are effective in their abruptness, ending as soon as they’ve begun and leaving much to the reader’s imagination. 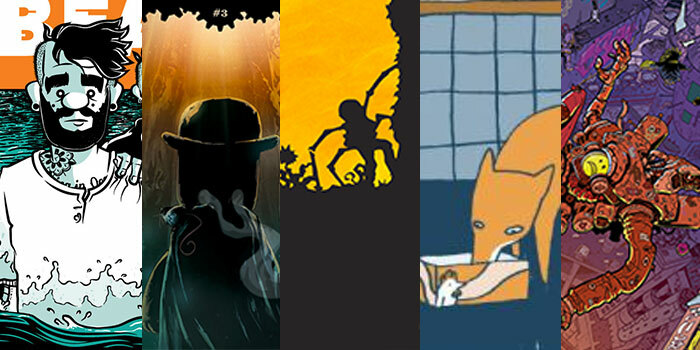 The first story, ‘Ears’ (illustrated by Aleksandar Bozic), in which an anxious man decides to have surgery on his awkwardly protruding ears, is a fine parable on vanity that encapsulates life’s fondness for irony in just four pages. 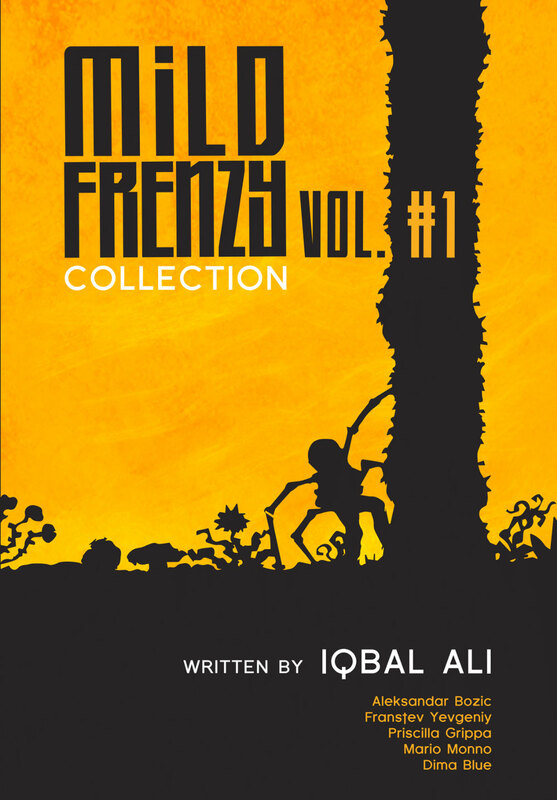 You can read a ton of Iqbal Ali’s shorts on his tumbler site, and purchase the first Mild Frenzy collection from Amazon. Avery Hill is really knocking it out of the park with their 2018 slate, with such fine releases as Luke Healy’s Permanent Press and B Mure’s Terrible Means. 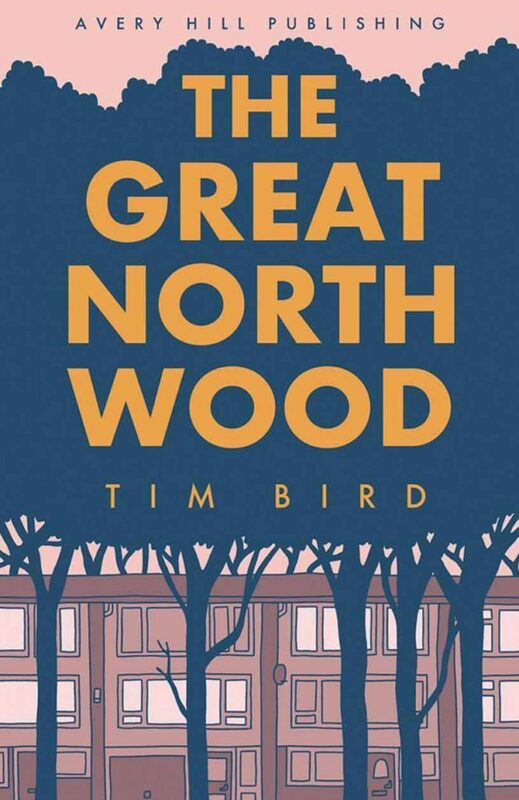 And now Tim Bird (Grey Area: From The City To The Sea) continues to explore his fascination with psychogeography in the fantastic The Great North Wood. Recounting the history of South-East London through ostensibly unrelated observations, anecdotes and folklore, Bird uses the recurrent image of a fox and a discarded fried chicken box to guide us through a slow-burning mediation on the residual nature of memory. 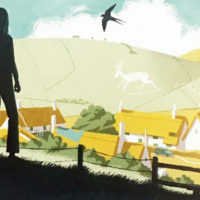 Poetic and ambiguous, it reminded me somewhat of David Lowery’s film A Ghost Story, but Bird’s lightness of touch sees The Great North Wood meander towards a conclusion that’s far more poignant. The Great North Wood is available now in most good book/comic stores, and possibly even some bad ones. Magnus Aspli’s collection of, you guessed it, eight “slice of cyberpunk life” tales is split evenly between sequential art and prose. 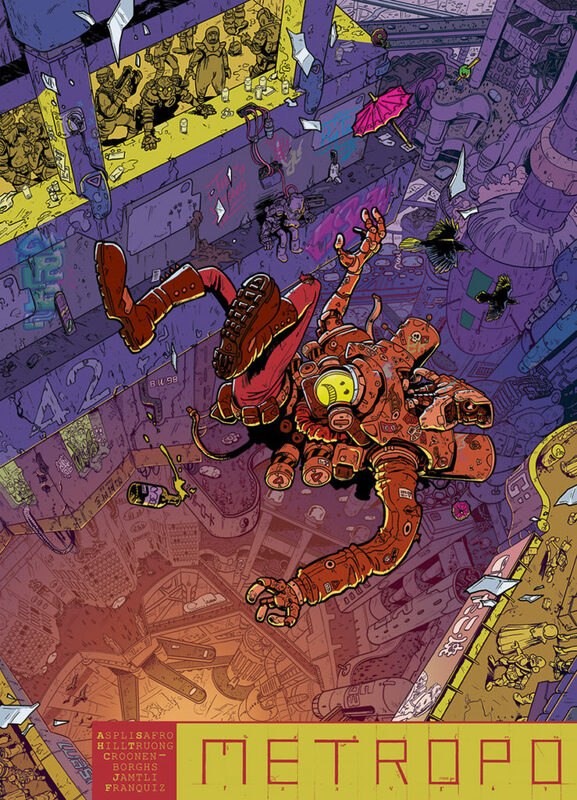 Metropo turned out to be far removed from the hard-boiled, oft-imitated cyberpunk of Blade Runner and Judge Dredd that I expected from John Jamtli’s stunningly ballistic cover. It’s a softer and more melancholic affair (the blurb promises to take us “into the hearts and minds of these denizens”) and all the better for it too. 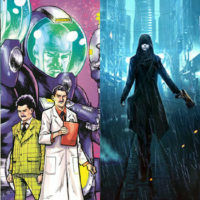 Aspli pushes at the boundaries of the cyberpunk genre in both his prose and scripts. These are relatable tales of human characters within a depersonalised cityscape, particularly in the cruelly uplifting ‘Raindrop Hatch’. Vivian Truong, Rob Croonenborghs, Mary Safro and Naomi Franquiz all bring the unending city to life in a variety of monochrome styles that are nevertheless cohesive in their vision. Metropo: Eight Stories from the Unending City was funded by a recent kickstarter and the physical edition dispatched last month, so the book will presumably be available to a wider audience soon.